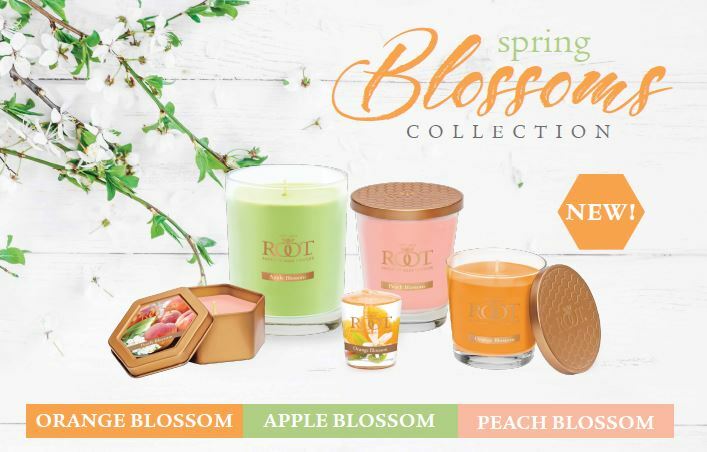 Introducing the Spring Blossoms Collection from Root Candles. Signs of spring renewal are in the air as the trees begin to bloom and the honey bee emerges from the hive, searching for blossoms and nectar. This Limited Edition fragrance collection is available January - June 2019.